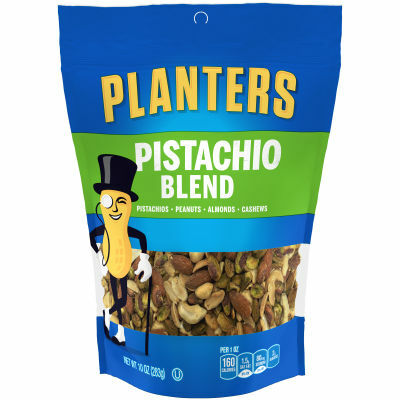 This resealable bag contains a perfect mixture of pistachios, almonds, peanuts and cashews to give you a salty snack that will satisfy your taste buds with every handful. - The combination of nuts in this 10 oz. bag gives you a range of flavors and textures and a good source of dietary fiber. Serving size 1oz (28g/about 28 pieces).